Burnley Express and News, December 22, 1943. A.B. 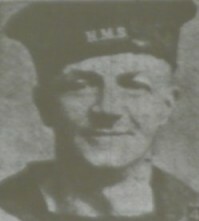 THOMAS EDWARD STARKIE, whose wife and child live at 5, King-street, Briercliffe, has been serving with the Royal Navy one year and ten months. He was employed by the Harle Syke Mill Company and later at a Royal Ordnance Factory before joining up.